An exclusive collaboration with Halcyon Days, founded in 1950 as an emporium of antique gifts in Mayfair, London. The design is inspired by the sunburst decorations that adorn the doors of Buckingham Palace's State Rooms. 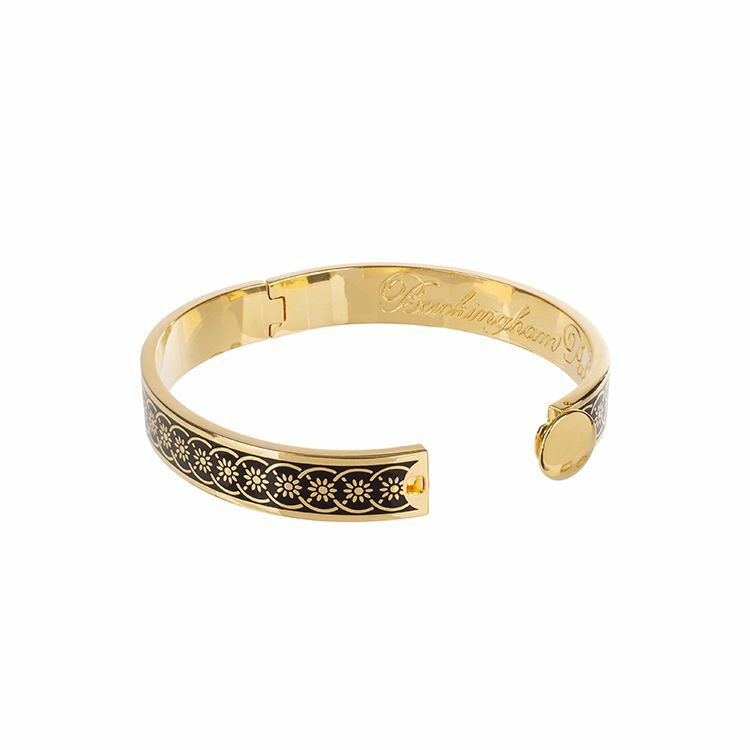 Made of brass and coated in enamel. 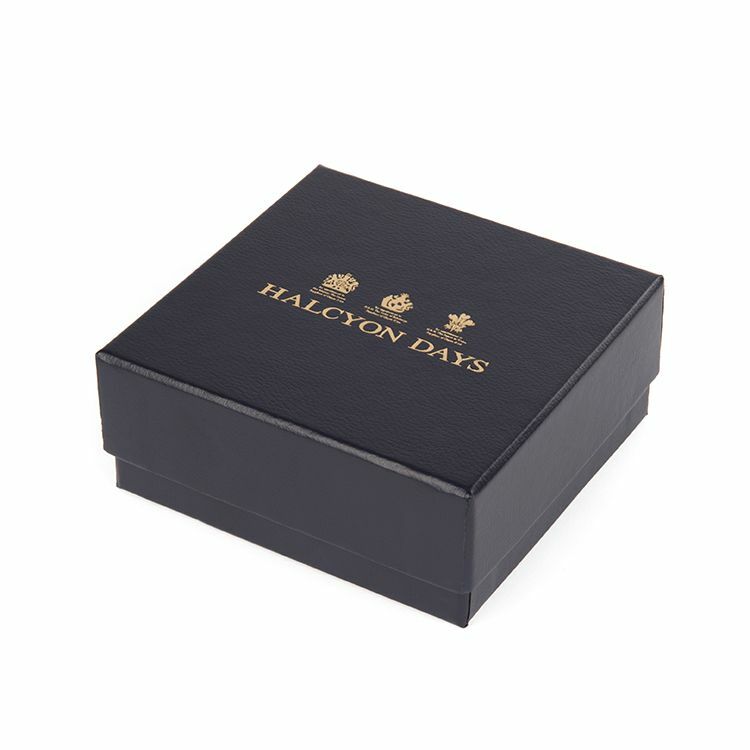 Presented in a Halcyon Days gift box. 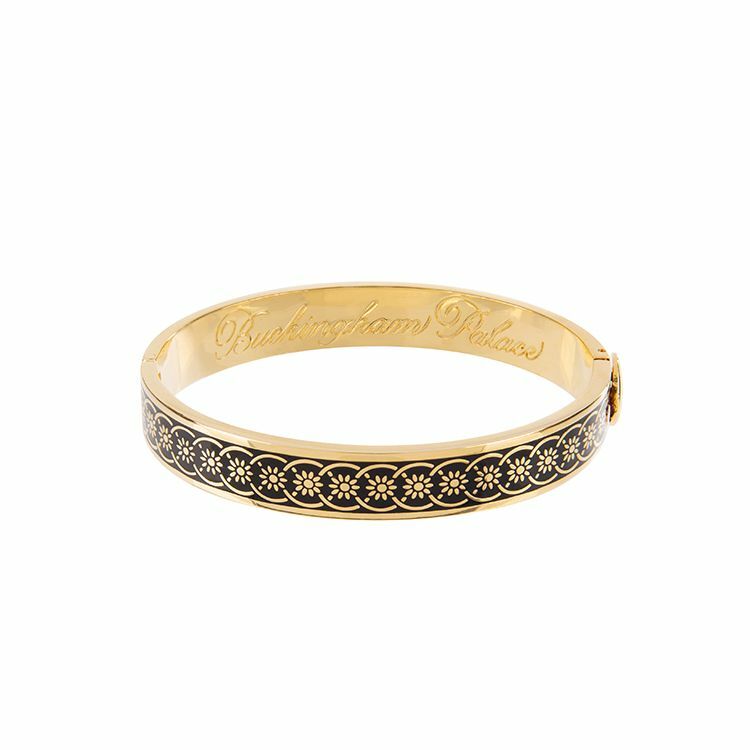 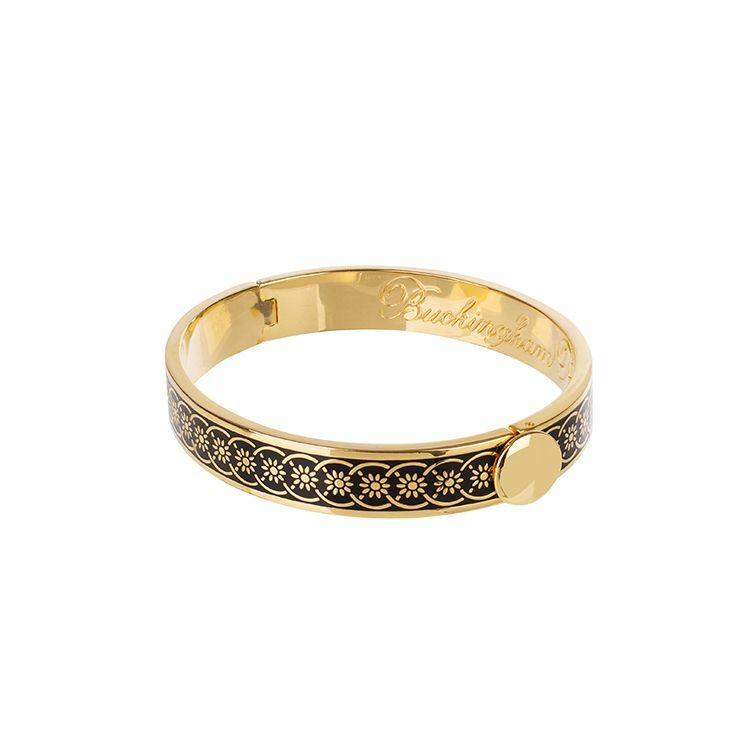 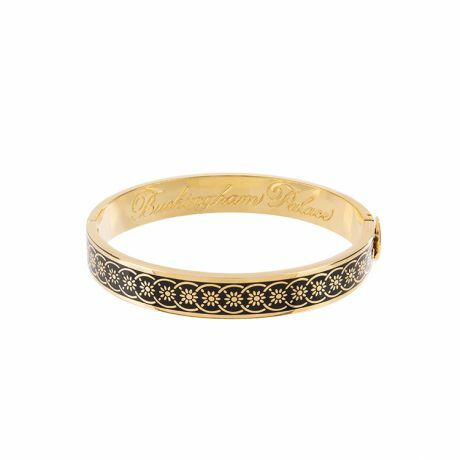 Buckingham Palace inscribed on the inner bangle.